Carruthers is an employee of the British Foreign Office. Put that way, which is the truth, it sounds as though he might well be an operative tasked with gathering intelligence for his government but it is hardly that at all. He would be the first to stare at you with astonishment should you make such a suggestion, at least until the events of his unintended escapade with Davies took place. After that, it would still not be quite the truth but it would not be so laughable. By his own descript, Carruthers is "a young man of condition and fashion, who knows the right people, belongs to the right clubs, has a safe, possibly a brilliant, future in the Foreign Office". He would claim, perhaps correctly, that he is terribly overworked but that assertion might also be mild griping just because he was not free to abandon the City of London as his friends had for more pleasant weather and more interesting diversions. He did not really enjoy the occasional letters from his pals on holiday because from their words he could tell that though they claimed to miss his company, they were enduring his absence with amazing fortitude. Seeking his own diversion towards the middle of September of that year when finally work allowed him to escape, he is asked by an acquaintance named Davies to join him on his sailing boat for a fun excursion. Carruthers thought this meant a pleasure yacht with other fun-seeking companions to while away the hours. What he got was just what Davies had actually said, a small sailing boat. Sailing in a small vessel in the North Sea and the Baltic as summer has left and autumn is approaching is not something most would consider a relaxing pasttime and Carruthers definitely did not find it so. And that is even before he learned the real reason Davies had for sailing into German territory for something far removed from entertainment. This is absolutely not a series in the traditional sense because the original author never intended, as far as I can determine, a sequel. Then he was later killed by firing squad which understandably curtailed his abilities even if he had wanted one. His book came out in 1903 and would years later be considered, rightly so, a classic. 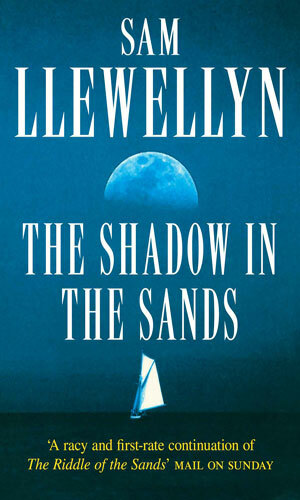 Jump ahead nine and a half decades and accomplished author and apparent sailing enthusiast Sam Llewellyn took up where the author ended with the same character, albeit no longer in a starring role. So, this is and is not a series. It does and does not belong in this collection. Two things make me enter it, though. One, the adventure by Sam Llewellyn is a pretty good yarn in its own right. Two, I am among the masses in considering the Childers' novel to be one of the first, best, spy stories and any opportunity to talk about it and recommend it should not be passed up. Carruthers recounts to a friend the harrowing journey he took on the spur of the moment with an acquaintance named Davies. Davies needed help in his small sailing vessel but what he did not tell Carruthers was that it was to study German activities on a series of small islands off their coast, actions that Davies is convinced is in preparation for war. When I came to the part where I had to fill in the occupation of Carruthers, I stared at the blank input field for a very long time. The fact that he would eventually play a part in a spying expedition does not make him an agent. The fact that he works for the Foreign Office in and of itself does not make him an operative, especially as we learn more about him. He does not say anywhere that he is a clerk but then he does not really say anything about what he does but he certainly gives the impression it is hardly exciting. So, I labelled him a government clerk and I am willing to change that if pressed. 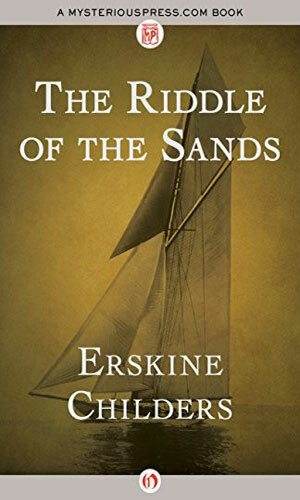 The first book, The Riddle of the Sands is most definitely, without argument, an adventure about spying. Davies is certain the Germans are up to no good (they did almost kill him) so he wants to learn more. He needs another hand with his boat so he inveigles Carruthers into joining him. They survive some pretty harrowing seas before getting into the nitty-gritty of spying. I also read one, likely a tad tongue-in-cheek, that the book was a sailing adventure with some snooping thrown in. On the surface, that is actually true enough. Most importantly, though, is the fact that this book is a classic spy novel which set the bar darned high for anyone who might want to best it. Few have even a hundred years later. True, masters like Ambler, Greene, Le Carré, Deighton, Follett, Forsyth, and a couple handful more have reached that bar and often surpassed it (IMHO) but if you think about how many decades have gone by and how few are in those handfuls, that is darned impressive. Sam Llewellyn's follow-up is also an entertaining read. If it were taken just by itself, it cannot measure up to the original but I do not denigrate Mr. Llewellyn at all for that. There ain't many what could have measured up. It is still a good yarn. This is not a true series in the traditional sense. Nevertheless, I strongly feel it belongs in this compendium.